In 1994, there were more than 2.2 million serious medical cases, and over 100,000 deaths from negative reactions to prescribed drugs. (NCBI) These numbers have made adverse drug reactions one of the leading causes of hospitalization and deaths in the US. Currently, there is no easy way to determine how a patient is going to respond to a medication, so pharmaceutical companies are relying on a “one size fits all” policy. But as we can see with the amount of hospitalizations and deaths each year, there has to be a better way. One area that is shedding hope on this is pharmacogenomics. Pharmacogenomics is the ability to study the differences in the DNA of a person to see how they are going to respond to a certain drug. The DNA contains instructions on how to make proteins. These proteins then go on to carry out life’s basic functions. 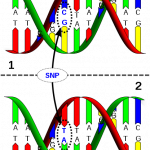 A disorder that may result because of changes in the production of these proteins resulting from mutations in the DNA has been a major area of research for some time. But now we have to look into how some of these proteins are interacting with the medications that we are taking to treat the disorder. It is a major shift in the way many people think about DNA and how it affects our health. Pharmacogenomics is a relatively new area of science that is now looking into these differences in the DNA that cause a person to respond to a drug in a certain way, if at all. There are a whole group of proteins that are in charge of metabolizing, or breaking down, the medications we take into their active forms. 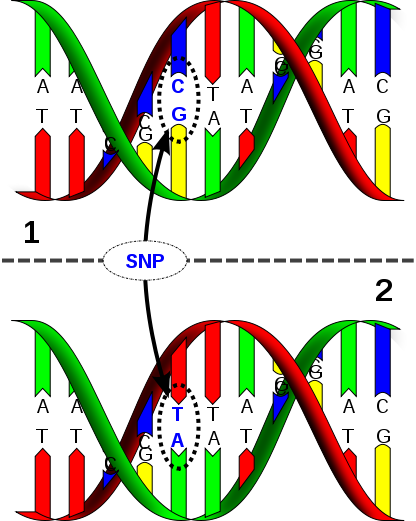 The instructions in the DNA that make these proteins are different from person to person, so it is these variations that will either make a person make more of the proteins, less, or none at all. These different levels then cause a person to respond to a drug in a certain way. For example, if a patient is taking the blood thinner Warfarin to treat blood clots, and they are making too much of the protein that metabolizes this drug, they will break it down too fast and this could possibly thin the blood too much. If they are a patient that either makes less or none of this protein, the clots will still form, which could still cause serious problems for that patient. So if we could gather all of the variations in the DNA that lead to certain reactions to drugs, we could use this information to better treat future patients. A DNA test could be done before the medication is prescribed. If a patient is showing a similar variation in the DNA to a previous patient that was not able to metabolize a drug, the doctor may want to think twice about prescribing that drug to their patient. Since we now know that one size does NOT fit all, studying the variations in the DNA to see how their patients will respond to certain drugs will help in prescribing the correct drug and at the right dose. Print article This entry was posted by Jennifer Galasso on November 11, 2011 at 5:34 pm, and is filed under Your Genes, Your Health. Follow any responses to this post through RSS 2.0. You can leave a response or trackback from your own site.